Some of this information was already in my “Clay & Terra Cotta Cookware” blog, but we’ll go into more detail here. Some people might be surprised or confused that dinnerware and bakeware are being lumped together, but the same properties exist among any items made from ceramic, and certain companies make both. The only difference is the shape they form them into! collections are all made from the same clay! So first, some ceramic basics. Clay, when fired, becomes crystalline, like glass. 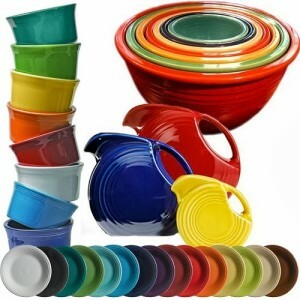 Therefore, ceramic dinnerware and bakeware is no different than purchasing glass dinnerware and bakeware. Meaning it’s non-porous (unless chipped!) and environmentally friendly. Earthenware is non-porcelain, clay-based pottery that is porous after being fired. It can be made out of a variety of different clays and can be glazed. Terra Cotta is a type of earthenware made from clay and therefore it is also porous after being fired, but is never glazed. Ceramic is made from clay in the form of kaolin but sometimes other materials are mixed in, as well. It is always glazed and often colored. Most ceramics are crystalline, meaning they act like glass. Porcelain is made from clay and other materials fired at high temperatures, and is the most glass-like of all the varieties of ceramics. It is often referred to as China or Fine China since that is where its production originated. Stoneware is ceramic that has been fired once at a higher temperature and is considered to be even stronger than porcelain. Confused yet? 😛 Again, ceramic is like glass, non-porous and strong. Different manufacturers utilize different glazes to create the colors on their ceramics. A few vendors even use natural ways to color their wares; Emile Henry uses metal oxides (naturally occurring) to create their colors. As I mentioned, ceramics are non-porous so you wouldn’t have to worry about anything in the colors leaching out into your food, but I suppose if you were still using chipped ceramics you would have to consider the glazes at that point. Most inexpensive ceramics made in China also contain glaze made in China, however, if a piece is manufactured in one country does not guarantee that the glaze also came from the same country, so do your homework if this matters to you! Every color has different elements within it, so you’d have to know your pigment chemistry to focus your concerns properly. For instance, red dyes have the most lead in them, yellows can have cadmium, and blues can contain cobalt. Most people are only concerned with lead, so know that all items are lead tested before they are able to be sold in the United States, which means anything you are buying off the shelf is considered within safe levels. You shouldn’t be using cracked or chipped ceramics, however, so this shouldn’t be a concern. 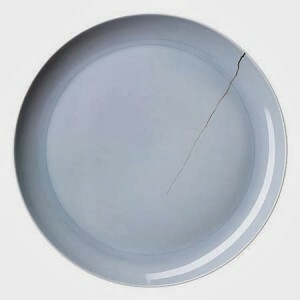 It is against food safety regulation to eat off of cracked dinnerware because bacteria can grow in cracks, so always send your food back if you receive it on something chipped or cracked! (Chipped or cracked glassware is just plain unsafe – you don’t want to cut yourself! Send it back.) Chipped ceramic will also get much hotter in the microwave, as will anything with more lead in the glaze. Yes, your favorite red mug really does get hotter than your white one, you’re not crazy! Cracking is when an object breaks into two or more pieces under stress, while crazing is the phenomenon that happens before cracking. 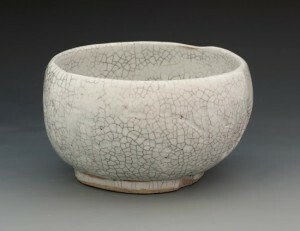 Crazing looks like a network of cracks, usually within the glaze. You can feel a crack if you run your finger over it, while you cannot actually feel the crazing if you were to do the same. You can still utilize dinnerware or bakeware that has crazing, you just want to be extra careful with it because sometimes bumping it hard in the affected area will cause it to actually crack. Other times, the ceramic will never actually crack and you can use it for ages, which makes sense because crazing can actually increases the strength of the piece…ah, science! Crazing is caused by flaws in production (less expensive pieces made by machines with low quality control will craze easily) or excessive stress on the piece (using it at higher temperatures than recommended). What makes one brand of ceramic better than another? Ceramics that don’t have a lot of extra edges or have smoother, thicker edges are more likely to last longer, like Fiesta dinnerware. The less edges there are, the less chance they have to chip! Pieces that have to be added on later, like handles and knobs, can be very fragile because of how thin they can be and difficult to “attach”, so be cautious. How many coffee mugs do you own with broken handles?!? Fiesta has thick and almost non-existent edges making it very hard to break. I’ve mentioned molds going in-and-out of the kiln repeatedly, but didn’t talk about how the ceramics themselves sometimes do, too. The more something has to go into the kiln like this, the more brittle it becomes. As stated in the definitions section above, stoneware and porcelain are created at higher temperatures, which makes them stronger because they didn’t have to go in-and-out as often as others might have. 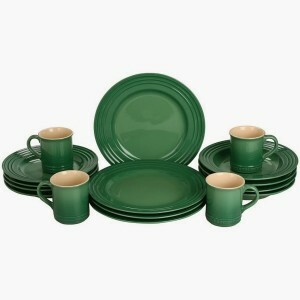 Fiesta dinnerware and Emile Henry are both “high-fire” meaning they only go in once at an extremely high temperature. 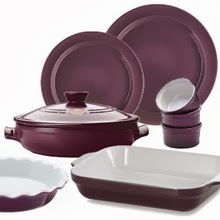 This is the strongest ceramic dinnerware and bakeware you will find, but the other stoneware is very strong, too.